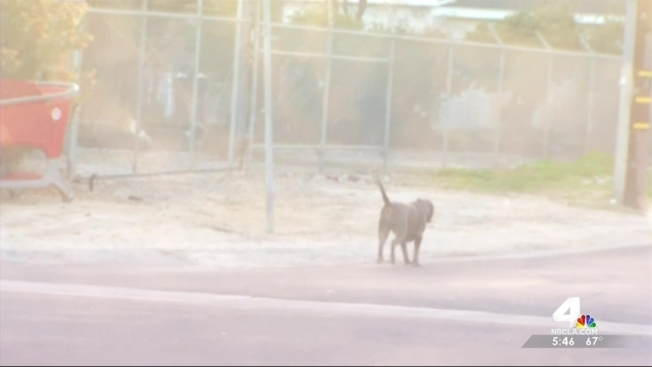 LA’s Department of Animal Services on Monday impounded a pit bull who had killed another dog, hours after an NBC4 I-Team report showed the pit bull running off leash through the streets. A second dog belonging to the same owner was also impounded. "Officers were instructed to impound the dogs after seeing footage of the dogs off leash and not muzzled," Brenda Barnette, general manager of LA’s Animal Services Department told NBC4 in an email. It was in 2011 that the pit bull, named Hemi, attacked and killed a Jack Russell Terrier in the parking lot of a popular Hollywood hiking area. After that incident, the city ordered Hemi’s owner, Mario Osorio, to keep his dog on a leash and wearing a muzzle whenever he took them out of the house, so Hemi couldn’t kill again. Dangerous dogs that maul people and kill pets are being put back on the streets of Los Angeles, the NBC4 I-Team has found. 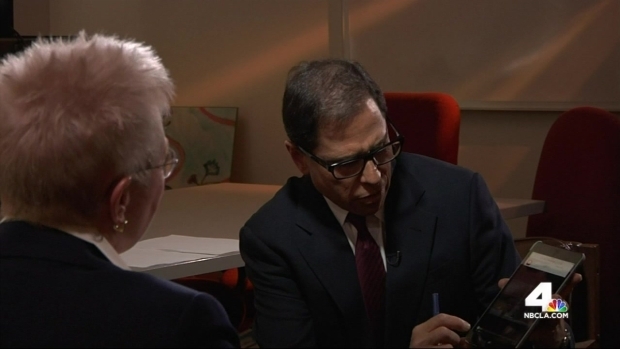 Joel Grover reports for the NBC4 News at 11 p.m. on Sunday, Feb. 1, 2015. But the I-Team’s cameras caught Osorio repeatedly letting Hemi and his other dogs run off leash and without muzzles through his neighborhood, so the city impounded the dogs. The dog owner’s niece, Cindy Osorio, told NBC4 the family doesn’t think it’s fair for the city to impound the dogs, but added they understood why. “There are laws to abide by,” Osorio added. Hemi and Osorio’s other dog, “Shorty,” will remain impounded at the East Valley Animal Shelter until Osorio has a hearing with Animal Control. “The owner (Osorio) could lose his dogs and could be ordered to own no dogs in the City of LA for three years,” Animal Services GM Barnette told the I-Team.